Estella's Revenge: #AMonthofFaves: Fave New-to-Me Author Discoveries! #AMonthofFaves: Fave New-to-Me Author Discoveries! Learn more and find the schedule HERE! 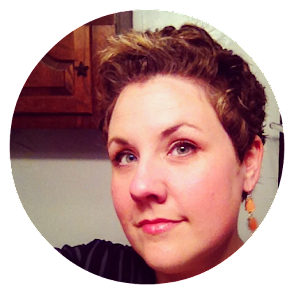 Today we're talking about new-to-you (and me) authors! I've read quite a few new-to-me authors this year, and many of them may pop up on my end-of-year faves list! For now, though, I want to run through some of my faves who may not have gotten quite as much attention here as they deserve. Let's check 'em out..
Today we're linking up with The Broke and the Bookish for Top Ten Tuesday! Libba Bray is new to probably no one except me! 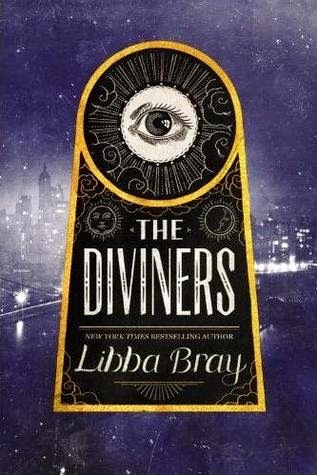 I read my first Bray book back in January, and that was The Diviners. It was a fun, 20s-era supernatural thriller, and I do so have a soft spot for those! I also read A Great and Terrible Beauty later in the year and enjoyed it, too, though maybe not as much as The Diviners. Don't even ask me why I haven't read the second in Patrick Rothfuss's The Kingkiller Chronicles. I loved the first book, The Name of the Wind, immediately. I know The Wise Man's Fear will thrill me, too! 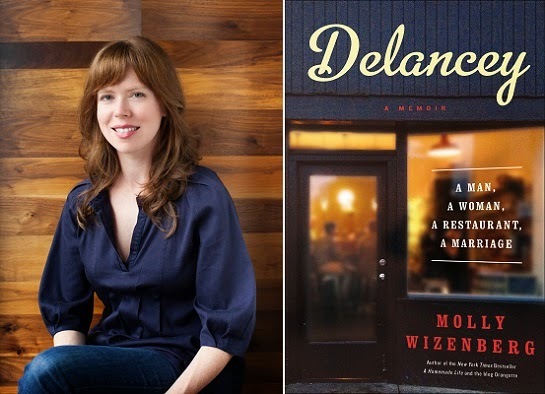 I'm always down for a foodie memoir, and Molly Wizenberg delivers with her book, Delancey: A Man, a Woman, a Restaurant, a Marriage. It's an honest look at the scary parts of a new restaurant venture. So conversational and charming! 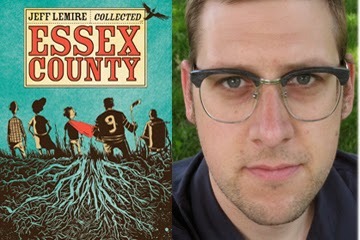 While he's most famous for Essex County, I fell for comics writer Jeff Lemire thanks to Sweet Tooth. No matter your taste in comics, Lemire will humanize every story and pull at your heartstrings. And I'm technically cheating now, but I couldn't split the writers of Lumberjanes! 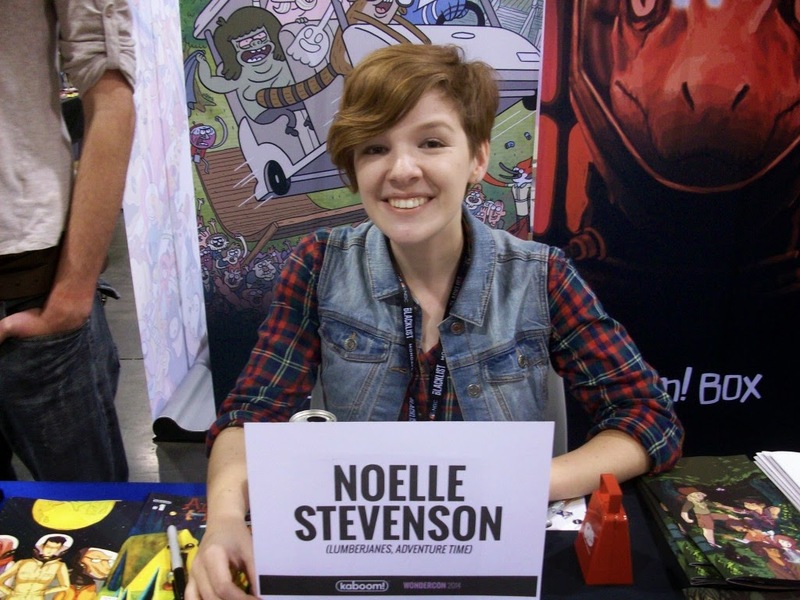 Noelle Stevenson and Grace Ellis are so damn funny and smart. You try decoding all of the references in Lumberjanes. These brainy gals are favorites. 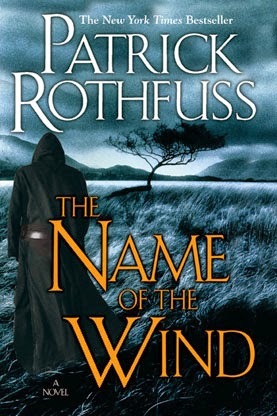 I can tell you exactly why I haven't read the second Rothfuss book, despite how much I enjoyed The Name of the Wind... because the conclusion is nowhere in sight! I don't like to be left hanging. Which I still am, I guess, but it's different when it's my decision not to continue. I still need to read The Diviners. Looks good. If you like books about food, I can help but recommend you a novel (not a memoir though but the author loves cooking and we feel it when reading the book), a French novel (!!! -> it's not everyday I recommend French lit ;). It's 'Chez moi' by Agnès Desarthe (the title is in French but it is the title of the English version. The French title is different and is a reference to Alice's Adventures in Wonderland). I've loved it and have offered it quite a lot of time since then. I am really loving these lists! I really enjoyed The Diviners and Patrick Rothfuss is in my TBR but I'm definitely going to have to check out the other books/authors in your list. Great list! 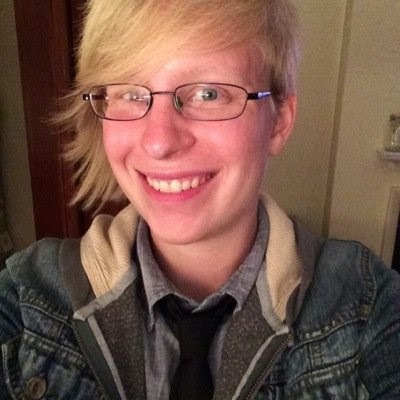 Libba Bray is the only author on your list that I've read, but I might have to check out Lumberjanes. Here's my TTT. Happy reading! I have The Name of the Wind on my shelf but haven't gotten around to it yet. I so want to read Rothfuss! I'm definitely planning on reading his books in 2015. And Molly Wizneberg! I loved Delancey though her first book was great too. Great list! I want to read the top three you listed! I realized after I made my list that I forgot to mention that I finally read Diana Gabladon for the first time this year...Apparently making lists is not my strength! These all sound great! I've read both books by Patrick Rothfuss and loved both, each in its own way! I've been meaning to read Delancey and Molly Wizenberg's earlier one.